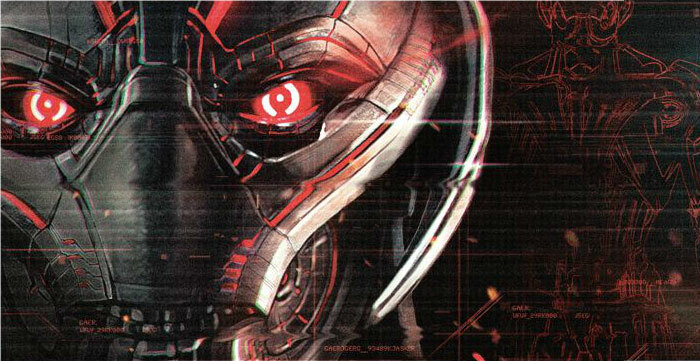 While we've seen a few smaller glimpses of Paul Bettany's Vision in Avengers: Age of Ultron concept art, we haven't seen the actual man in costume. 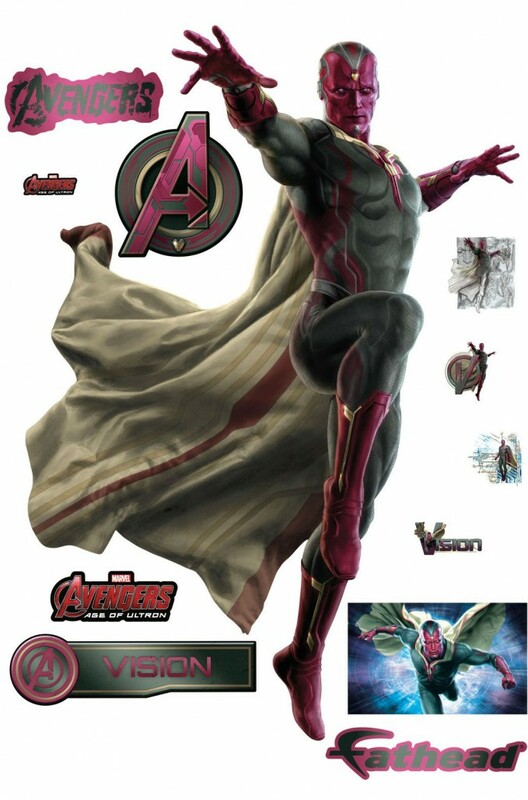 This still isn't that, but thanks to the folks at Fathead Wall Decals (via ComicBookMovie), we now have our best look yet at Vision's color scheme and how he'll appear in the upcoming Joss Whedon-helmed sequel. Looks good! Not much else to add here, except that Vision was always my favorite Avenger as a kid, so my own excitement is pretty palpable. If you're so inclined, you can purchase these decals, which include a limited selection of the rest of the cast, over at Fathead's site. Avengers: Age of Ultron releases on May 1st.